We put up our Christmas tree the day after Thanksgiving, so this feels totally legitimate to post now. 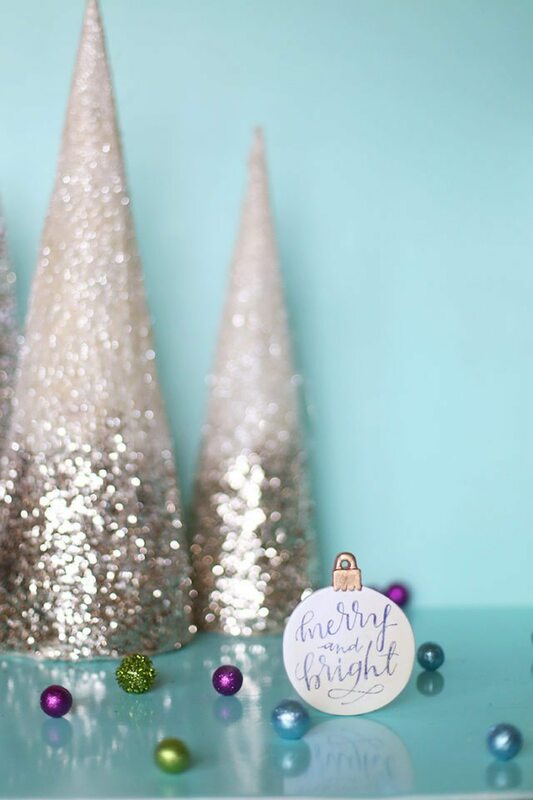 This month the Michaels Makers were asked to make it merry for the holidays, since Michaels has everything you need to make your own holidays merry. 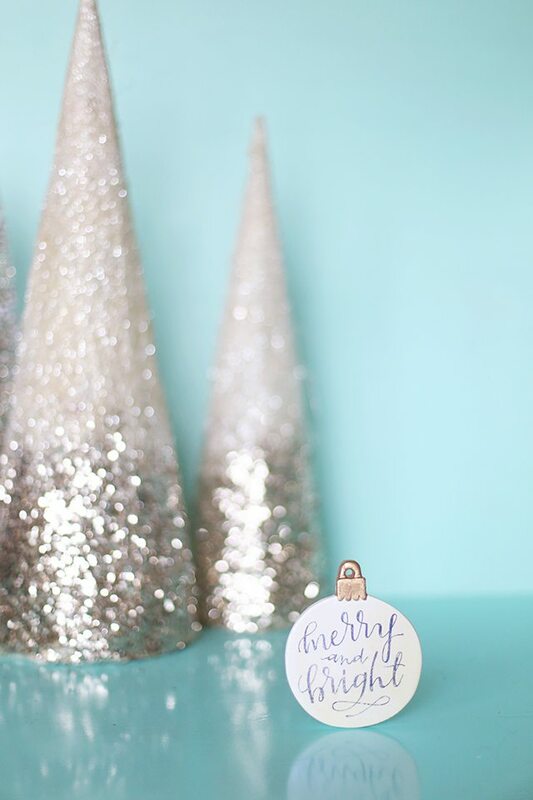 So join me as we make these pretty DIY image transfer Christmas ornaments, and find even more holiday inspiration on The Glue String! 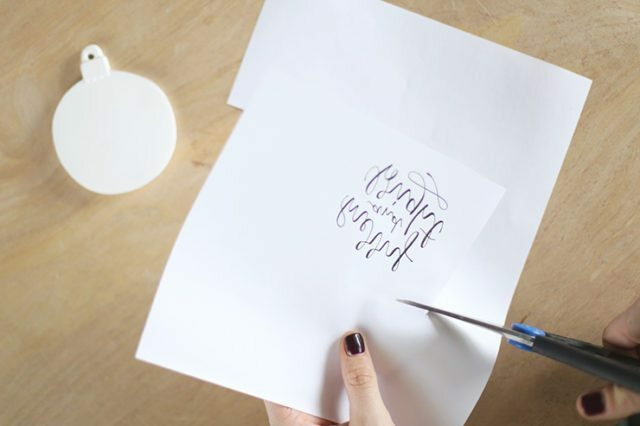 So that’s why I wrote it for you and created a free template that you can download and print! P.S. 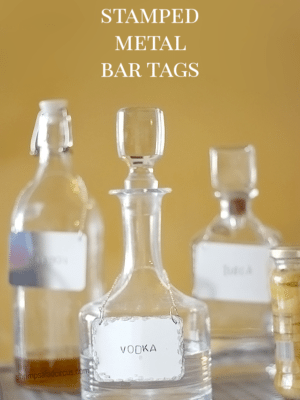 I have lots more downloadable freebies right here! 1. 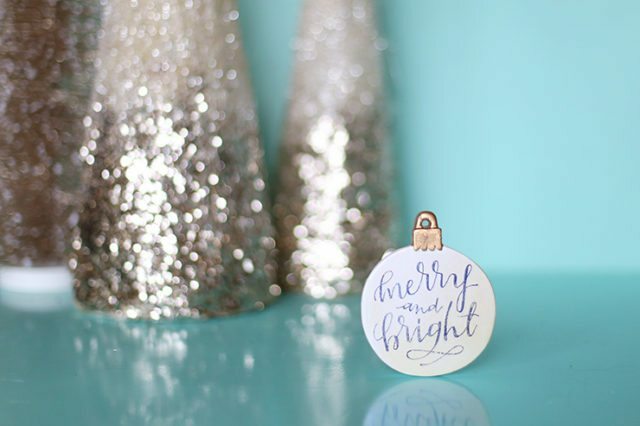 Print the ornament template. It’s a mirror-image since you’ll be transferring it. Cut around it, leaving a little white space at the edges. 2. 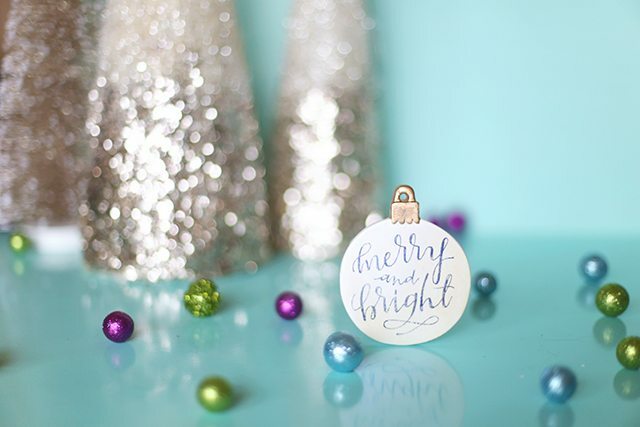 Center the printout over the ornament, holding it in place with your fingers. Mark the back with the blender pen. It’ll become more transparent. 3. 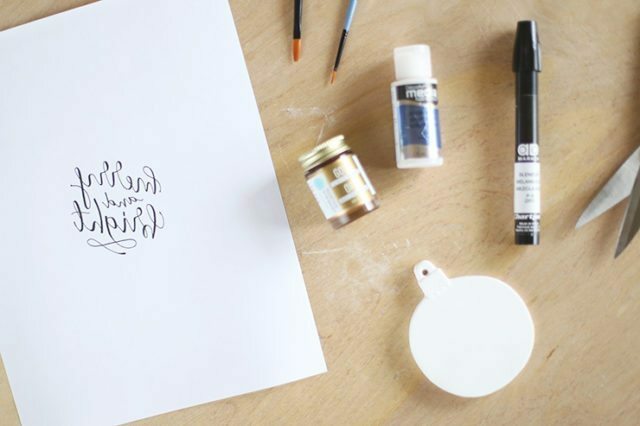 Flip the marker over, and use the back to rub over the text. 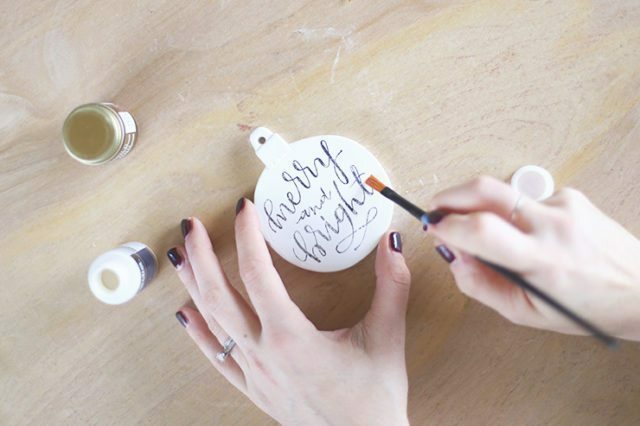 Peel away the paper, and the words should be transferred the right direction onto the ornament. 4. 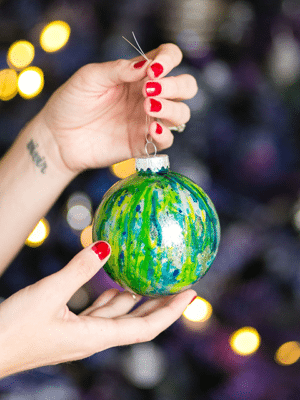 Brush over the whole surface of the ornament with either a clear glaze, like Mod Podge, or something with a subtle hint of color, like an interference. I used one with a holographic blue tone. 5. 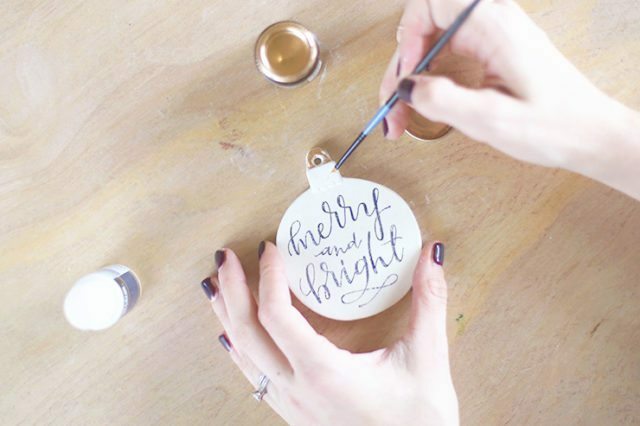 Paint the top part of the ornament with a metallic color or a liquid leaf. Tie some twine or string through the loop, and hang it on the tree! What a great idea! 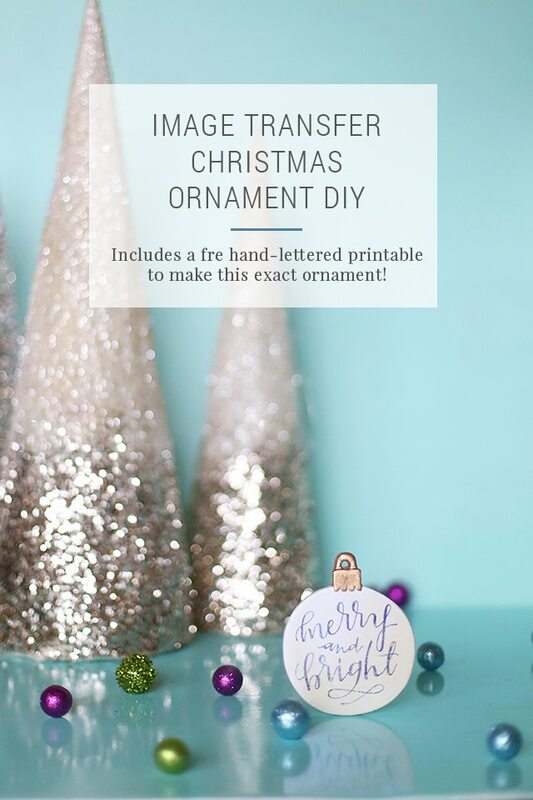 This will be a perfect craft to do with the kids! Ah! 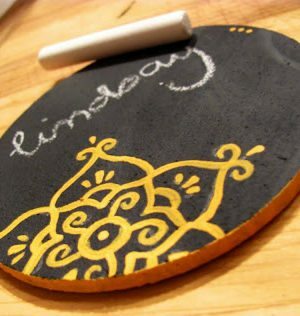 This is so cute and looks fun to make! Thanks so much, Delia! 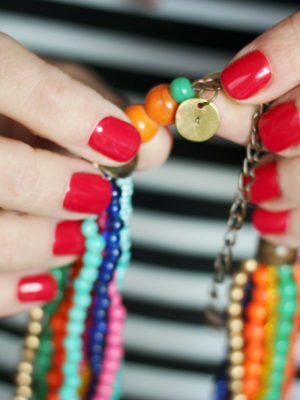 It’s really, really easy, too!! !